One is opening in Djitsun Mall. According to Jerry Lim, Senior Manager and Spokesperson, Kkongdon BBQ which just opened first outlet in August, 2012 is opening 2 more outlets in Djitsun Mall (former New Crown Cinema) in Ang Mo Kio and Parkway Parade this year. Another outlet is opening in Paya Lebar Square. Kkongdon in Korean literally means ‘Best Price Value’. 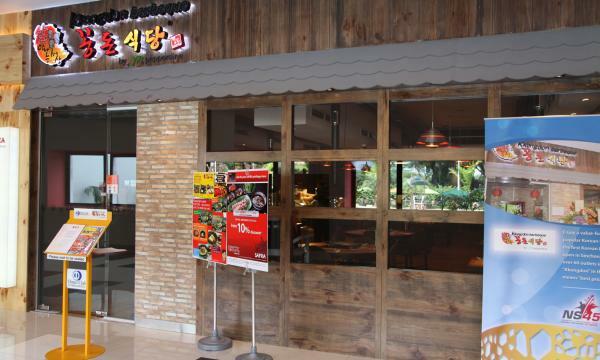 Kkongdon Barbeque is a popular Korean barbeque franchise started in 2005 with 67 outlets opened to date in Korea. JP Pepperdine Group (which also manages Jack’s Place Restaurants) brings in this popular Korean franchise in 2012. 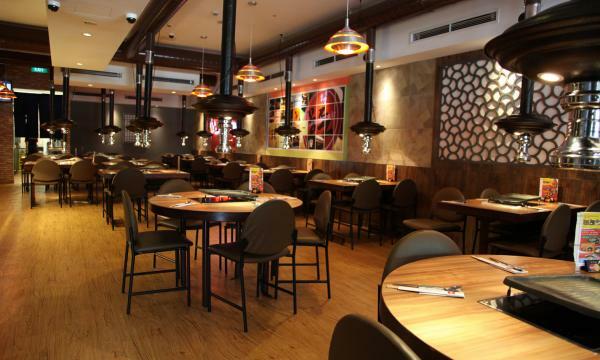 Kkongdon Barbeque first outlet in Singapore opened on 15 Aug 2012 at Marina Square (Marina Link), followed by SAFRA Toa Payoh outlet on 18 Oct 2012. Kkongdon Barbeque Restaurant boasts several unique differences. According to Lim, in its belief that guests should not smell like the food after dining at the restaurant, individual retractable exhaust pipes are installed at each dining table to minimize the Barbeque smell. Also different from regular buffet concepts is its free-flow kimchi salad bar. Guests can enjoy the kimchi that is freshly produced in-house, with order of any main course, at no extra charge. Besides the original Red Kimchi, which is the most popular version, various types of kimchi such as white kimchi, cucumber kimchi, garlic soya sauce kimchi and white radish kimchi are served at the salad bar as well. However, only three types of kimchi will be prepared on a daily basis. Another selling point, according to Lim is Kkongdon Barbeque’s “authenticity” with its permanently employed Korean chef Ms. Oh Myoung Suk Emily, who was trained at the Kkongdon Barbeque in Korea. "The marinated meat from our menu is specially prepared with authentic Korean sauces, using a special recipe which is the same as used in Kkongdon outlets in Korea. The authentic yet affordable menu is dominated by marinated pork belly, pork ribs, beef belly and beef rib options, other items include ginseng chicken and cold noodles. The Signature dishes includes Tong Samgyeopsal (pork belly) $16.00++ and its Ojingeo Bulgogi Jeongol (beef, squid & vegetable hotpot) $28.00++."